We are starting this program for the 2nd time as the participants truly felt a difference in their lives. This is an important part of the work within the beginning initiations and will help a student to accelerate their pathway deeply. As we step into the pathway of mastery, it is essential that we take care of the emotions that sabotage us in accepting our full power, love, and wisdom. Each of us has an Inner Child and the goal is to have that child be fully integrated into the adult that we are presently. It is essential to connect with our Inner Child to find the pathway of rediscovering our true self; the one that can be hiding due to insecurities that occurred within our present lifetime. Once we allow him or her to walk with us, then we become fully balanced, creative, imaginative, and find the flow of life to occur for us in all we encounter. This program is designed to help individuals on the pathway of Soul Psychology to understand themselves on a deeper level. It is an important phase in the overall process of acknowledging our Higher Presence. We must take care of the issues either emotionally or mentally that may be impeding our progress. Accessing the issues from your childhood will assist you in removing insecurities, anger, frustrations, communication issues, and other elements that are lodged within our lower minds and hearts. This series is conducted for about a 4 month duration through eight (8) Group Classes with Master Djwal Kuhl (see schedule below) that occur about every two weeks. Prior to attending class, everyone will engage in a Student Group Study Session to prepare for class. Attendees meet without the instructors to exchange their experiences for the next weeks teaching. The Group Class is a very interactive format where the attending participants engage personally with Djwhal Khul. Destroyer – Fool – Innocent – Magician – Martyr – Patriarch – Ruler – Servant – Seducer – Seeker – Warrior – Wise One. We learn how these powerful roles affect us either in a positive way or adversely for each of the age groups with visualization and exercises to change how your Inner Child interacts with you. This assists each individual to make the necessary changes in their present life by activating the Higher Essence to understand the process. Through the visualization we work with each individual’s Higher Self to allow the healing to occur and incorporating the Rays of God to assist in the process. This is a consecutive series. It is important for each participant to join us on each class even if your understanding is that your inner child does not have an issue with the age group we are discussing. Ongoing consecutive participation is essential in accessing the positive qualities during any time frame. This sets up a structured base for the inner child to move into the next level of healing and acknowledge the positive qualities that you have acquired into your adulthood. For more details and to register for this class, please see Walking Terra Christa/Teachings. Also listen to the introductory class shown on our website with the link above. As we stand on the bridge of the new essence arriving into Gaia, we bring you this message of love and joy about the Spring Equinox of 2014. It is my divine pleasure to speak to you at this time. I Am Lord Metatron calling upon the forces of Light to be ever present in your existence as we become One Being of Creation. We always look forward to the Spring Equinox each year as it brings more light into the planet on a deeper level. This year is the same but so very different. I first want to talk about what you have been experiencing within the planet and why the challenges have been so very intensified. When you chose to be here on Earth and help by being the Light Bearers to hold the frequency, we knew that it would not be easy to create. But yet, I don’t think any of us on this side of the Inner Plane ever realized how deep the creation would take us and the journey we would experience together. In fact, we were not even sure that this project would come to its fruition. There were times we thought it would have to be aborted in order to create a New Earth in another dimensional frequency. But each of you have proved us very wrong and continue to do so. The power of the energies within this year has been supported by 2013 and how each of you handled yourself through the transitions of light and dark within the planet. We know that was not easy at all and here, we stand together, ready to receive more Light infractions that need to be held and nurtured. This past trimester from January through March has been very extreme as each of you know very well. The forces of darkness that make up the Galactic race not in alignment with the Brotherhood of Light are trying their very best to stop this light infraction from occurring. The work that has been done behind the scenes is way beyond the capacity of your understanding and represents both sides of the Light and Dark. Is it any wonder of why you have been experiencing such moments of intensity with the weather patterns? If that wasn’t enough, the frequency that hits your fields to stop you from being strong in your pathway is way beyond your means of understanding. All you know is what you feel and it has not been great, this we know very well. The power of your light is strong; we see you aspiring to more within yourself and know that it is occurring in each individual person in the way that they see it molding their world. It is the ones that we see who think that no work needs to be done and is expecting the other forces of light to take care of them are truly an obstacle for this light to fully become manifest in Gaia’s world. You did not arrive here to expect others to help you. So what has happened to some of you along the way? Why have you fallen off the path of continued success with your higher essence guiding you through the muck and mire? Have you stopped to think why you prefer to be taken care of by others? Have you lost your Will, your Power, your Love of the Highest Truth? I pose these questions not to criticize but to help everyone wake up unto themselves and the damage that may be created from expecting too much from others without giving themselves deeply. The mastery pathway is the only way for your ascension and until you realize that you are not stuck, need to be saved by the ascended masters, and that you have the power through your divine essence of humility within yourself, then you will still be an obstacle to the New Earth being created. We have a problem upon this Earth. We are still not quite ready as a full consciousness to accept a 5th dimensional way of living, but we are moving forward very slowly. I see so many individuals that need to understand that they are not the savior of this planet but part of a collective consciousness with many lightworkers coming together in Unison. The debris you have brought with you is from many timelines of all levels of living, not just on earth but within many inter-galactic forms. Are you understanding that you must look deep within yourself and accept your challenges as your greatest gift to healing? Each individual that awakens has a responsibility to go deeper within themselves to find their inner truth. Some souls are not ready to be on the mastery pathway and that is all okay. Others are working so diligently that they are healing for so many others. It is important to understand which group you place yourself. If you are a Love and Lighter, please know that this is good but there must be more to the whole equation. That entryway into the light is only a golden opportunity to see and be so much more than you were before. It is designed that way to keep you moving further into your destiny upon this Earth. I share all of these statements for one reason only. Do I have your attention? I hope so because this is why you may be experiencing very bad moments within your emotional and mental bodies. The light infractions upon the planet are so powerful that it will create havoc in each individual. If you are not aware of whom you are and what you want to do, then it can be very disastrous to your Beingness. Let us look at it this way: If you are awakened and step into the Self Help category also known as the Coaching Pathway, then your energies will still stay in a 3rd dimensional existence. It is meant to help you feel better within your physical and emotional body but does not allow for the entryway of higher accelerations to be within your existence. This is fine as long as you are happy with that element within your life. When you go further into your existence, work with your chakras, start to open up the energies, then it becomes a whole new world of experiences from this lifetime into many lifetimes that will ignite within you. 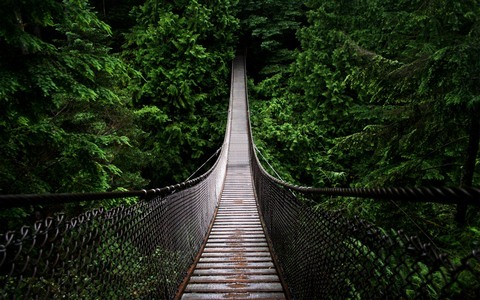 You may find healing modalities that work for you and you stay strong within a specific pathway. It takes you into a higher dimensional consciousness but if you don’t work at it, the lower ego stays in tact with the emotions and thoughts very strong within each other. Then, if you decide you want more within your life and truly want to give service, you step into the mastery pathway. This is usually a very conscious decision on your part so your Higher Self is working diligently with your physical self. Your awakening becomes more electrified and creates light infractions to come within your body. Changes start to happen that are completely different to your physical reality. Without even talking about the unawakened beings on this planet, think about all the thought forms and feelings that are running through the airwaves from you and to you consistently. This can create havoc as it is but then we bring in another aspect that is very important ~ controlled energies from the forces other than the Brotherhood of Light. They are working within every person to make them think adversely about themselves and create more lower energies to be activated. Their role is to stop you, every one of you from accelerating into a mastery pathway as those that walk as a master are being mentored to be the leaders for the New Earth. So they also work with the powers to be of this planet to create more problems so that, as the lightworkers, you will be affected. It is coming in from the media, from TV shows, movies, weather conditions, and anything that you can think of on a third dimensional arena. This is the key question because if you are working diligently every day to do the clearing that is needed and trying to find your higher essence to become more of the YOU, then you will still be affected. It is just the way that it has been at this time. 2014 is the year of Unity Consciousness. Do you understand what that means? It does not mean now that everyone is healed and can live in Light and Love. It actually represents the ability to heal deeply because as all elements come into alignment; there are other elements that need to be removed. It is just the way it is. It is part of Universal Law. So the challenges that everyone is experiencing in every part of the world are all part of Unity Consciousness. So when a tragedy occurs in any shape or form, those thought forms are ignited through the airwaves. The dark energies have a way of capturing them and sending them back into Gaia’s core of existence. This means that every human living being upon this earth is going to feel it. It is every person’s responsibility to change their thoughts and emotions or else they become part of the problem. Presently the percentage of those that are adding to this issue is way much larger than the ones that are assisting in changing the energies. 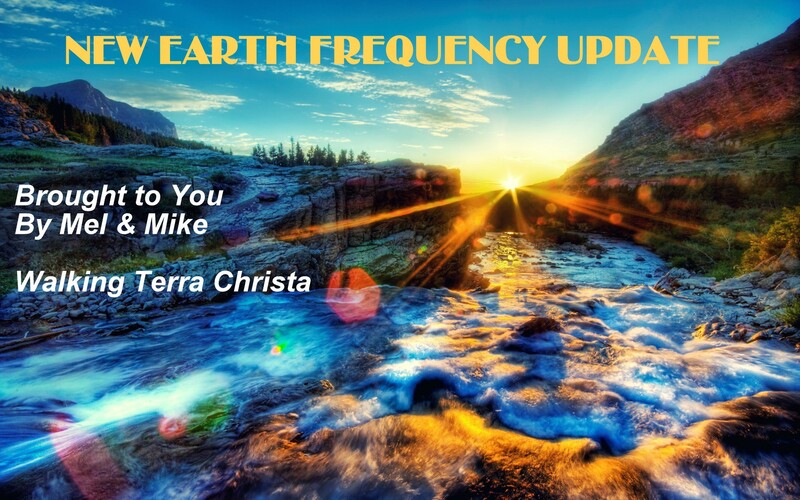 The intensity of these energies has been felt since the Winter Solstice but we are in great excitement for these frequencies to subside drastically. We thank each of you that have been working diligently on a constant basis. It is very imperative for the future of Gaia to ascend into Terra Christa. The changes will occur on the Spring Equinox but we still need your assistance. This will always be on a continual basis as it is part of your contract as the forerunners of the New Earth. You have taken an oath to be on this planet during its transformation and do your best, with the knowledge and expertise you have gained each moment of your existence. This will continue through each cycle and into the future years of Terra Christa. We know your challenges. We see them every moment and are assisting you greatly for the ones that are asking us to do so. We must tell you that not all individuals that are promoting the light are doing it in the full essence of the Unified Whole. There are still many aspects of each of us, as the ascended beings, that are the pantheons of the past and many lightworkers are channeling this level of understanding. They are not aware of it; in fact, they think it is pure because that is where their consciousness lies presently. What we want is for each of you to continue your acceleration. Don’t let it stop and when something feels “not quite right” when you see it, read it, or experience it, put it aside and readjust your energies. This is all part of the Divine Plan also. Some are here to help others to a certain point and some are here for the long haul. We want to be assured that you are of the latter part and not the first. All of this information is very important as we walk into the Spring Equinox; it will reflect the energies of light to come into this planet more fully. In December 2012 we experienced the same type of energy exchange. It did not go as well as previously thought due to many individuals not ready to receive the frequency and move forward. We cannot wait any longer so are asking for your assistance. Know yourself very deeply in each moment. When something is not in alignment with your physical energies, emotions, or thoughts, change it quickly. 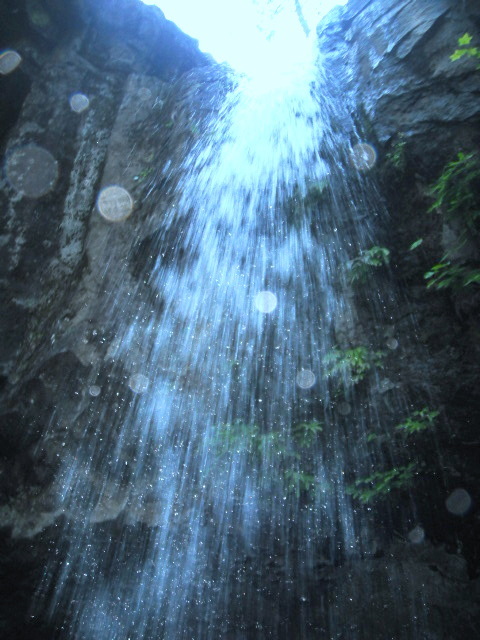 Utilize the Rays of God as they are being infused within Gaia, you will also receive. Be your Higher Self; accept your role as a Divine Being of Light and a Torch Bearer. Know that you do not know all the answers; that only comes from your lower ego and not your Higher Ego or Higher Self. When you are wrong, accept that you are. Find the truth within you and it will set you free. All of these elements are important for this Spring Equinox as it will mold the planet into what she can hold. Since each of you are a Torch Bearer and are here to learn more, accept the intensity of the Light within you. Give it to Gaia and prepare for an acceleration beyond your wildest dreams. The Light upon Gaia on this day in March will help accelerate everyone at this time. Be strong, receive it, and share it through your own essence. Look to the skies for confirmation in your daylight or nighttime. It does not matter; many are waiting for your acknowledgement as we are working together. We are here to walk with you but you must show your acceptance of our truth within each other. Changes are happening with you, within Gaia, and every living being. Others will need your strength as the transformation is occurring presently. The more you hold within yourselves at this time, the more that Gaia can accept in her essence. That will then filter out into the world, through the areas and the souls that need it the most. Please know that we are here to assist you, be friends with you, as we remember our heritage of times gone by. Isn’t it time that we get to know one another from a physical essence instead of the spiritual connection that we have. IT IS OUR TIME TOGETHER. Let us Unite in Harmony of the Light and Love that we are. I Am Archangel Metatron, reaching out for your hand of acceptance. Join Walking Terra Christa on Wednesday, March 19th at 5 PM Pacific for a powerful ceremony to celebrate the Spring Equinox with Lord Metatron and Sanat Kumara as our hosts. Please register on our site under Free Teachings. Even though this is a free event, donations are always appreciated. Learning to take the time for understanding our challenges and triumphs is a way to accept the new part of ourselves that is enfolding within us. The months of January, February, and now into March have taken us into a new dimension of acceptance. We have been pushed and prodded to be more than we should be. It has taken us into many levels of thoughts and emotions swirling within ourselves. We now stand at the forefront of great changes once again. Sometimes we can be so involved with the issues at hand that we do not see the higher purpose of our challenges. This past trimester has taken us into new levels of “finding our core essence”. It does not matter how long you have been on the mastery pathway or even if you are still struggling in the muck and mire of your darkness being unawakened. This winter has taken us deeper than we ever wanted to travel into the core of our Heart Essence. How do we do that when each of the cycles of this earth are hitting us deeply with the moon and the sun, the changes occurring on a planetary basis are painful to our bodies and our minds, and not to mention the electronic waves being created by the weather patterns in all areas of the world. Each of us is being affected dramatically by the conditions within GAIA whether it is rain, snow, wind, tornadoes, hurricanes, volcanoes erupting, or even a plane disappearing through the ethers. This is all engineered to deeply affect and stop us from accelerating personally and globally as a planet towards the New Earth. At this time, the energies are very dense everywhere so we are being affected greatly with our body, sleep patterns, emotions, and thoughts. The debris of energy is everywhere and it is important that as the initiates of Ascended Mastery that we stand up to the battle by increasing our light energies. It is the only thing that we can do. We must use our tools, our ability to stand within the light, and even at the darkest moments to stay above these lower frequencies. At this present time, we are in the deepest thick of the darkness. There are wars going on in the Galactic levels to make sure that GAIA receives her light frequency but it is very challenging right now. It is not for any of us to be into battle but just hold the light deeply and expand it out of ourselves to others, especially the ones that do not understand what they are going through presently. On Sunday, March 16th, 2014 we will be experiencing another Full Moon cycle at 10:08 AM Pacific, 1:08 PM Eastern, and 17:08 GMT which is the Pisces/Virgo axis. This means to us that we are dealing with the tools and techniques of both the physical self trying to work with the spiritual self. It is teaching us about balance in our world between work and service, criticism with acceptance and how to incorporate the practical energies from our lower self to blend with the higher self. Yes, another crossroads to step into. Which way will you turn? That is a huge question and it depends upon what you have done through the last three months to help you remove the old self in order to accept the “new you” that is trying to become more active. I believe that this Full Moon is going to take us deeper into what we have already been experiencing but on a more conscious level. It is so important to have your realizations become manifest within your consciousness, to look at how you live through your experiences in a balanced or unbalanced state. This means that your Emotional Self has just as much credibility in your life as your Mental Self. It is important to take this time to look at these aspects within the full moon as they are reflected in our experiences. Talk to each of your subtle bodies of your emotions and thoughts so that they can come to an understanding within your physical existence. Allow your intuition guide you and accept the changes that your inner thoughts are trying to convey. They must work together cohesively so that there can be a unanimous moment of creation. It is time for each of us to fully express who we are on all levels within us. Walking Terra Christa is having a ceremony for the full moon on Saturday, March 15th at 10 AM Pacific. Details can be accessed via our website, http://walkingterrachrista.com/tele-calls/. The Full Moon is going to prepare us for the Spring Equinox, March 20th, 2014, 16:57 UTC, 9:57 AM Pacific. It is at this time that we are going to move into more light waves upon the planet. This equinox is going to be just as powerful as December 21, 2012. It is one of the major reasons that we are experiencing the density of darkness within the planet presently. It will be a very powerful time for each of us, as we now step more fully into our awakened essence. Walking Terra Christa will be having a ceremony for this event on Wednesday, March 19th at 5 PM Pacific. It will be open to all individuals. Please register on our site, Telecalls, http://walkingterrachrista.com/tele-calls/, to receive the conference information. Additionally, we will be posting a message from the Unified Whole Command on what this equinox is going to represent. So it is essentially important to stay above the lower energies that are trying to stop us from accelerating. We have to remember that if they were not trying, then we would not be as successful as we have been. Continue with your tools, your breathing of the Rays of God, sending them to GAIA, and expanding your essence beyond your physical mind for others to receive. To insure the best process, each person attending the training is required to re-listen to the Group Session Tel-Conference training immediately prior to their personal session. In this way we can eliminate the 2 hour time frame per individual that is currently required in this modality. (This means you will be taking the extra time on your own to bring in the required energies). The advantage is this also reduces the exchange rate we would normally have for each individual. The DIAMOND HEART ESSENCEsm installs a full set of Light Diamonds that are attuned to the I AM PRESENCE within the MERKABAH LIGHT BODY etheric field at specific intersecting points corresponding with, and extending within, the physical body. Some of these intersecting diamond structures are at the 8 chakra meridians (the energetic wiring in the human body for accessing the Rays of God). Once installed, an individual can spin these Light Diamonds within their etheric and physical bodies using the energies of the I AM PRESENCE to clear and balance the four body system and all the chakras in a very direct and succinct manner. Vibrational Chants of the Elders that Surround the Throne of Grace to have them directly assist you with the deeper energies of the 22 Rays of God. We hope everyone reading this will avail themselves of this unique and powerful modality to assist integrating the Higher Self within the physical by utilizing the greater energies of their own I AM PRESENCE. 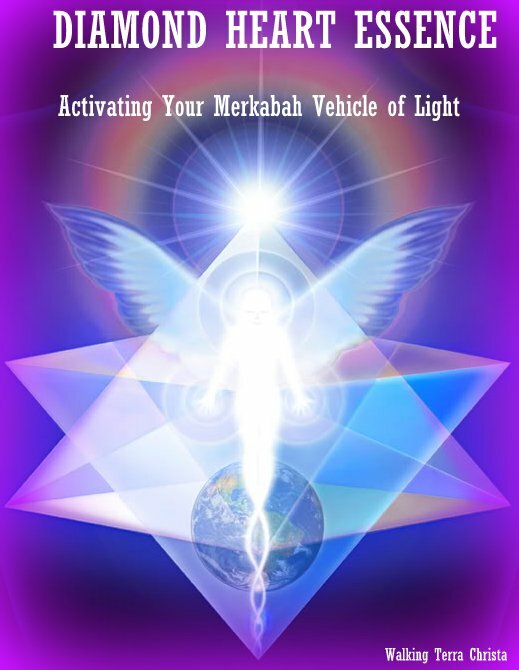 Once installed you can maintain and activate these Light Diamond anytime to strengthen and expand your MERKABAH BODY OF LIGHT which is an essential component of walking into a Fifth Dimensional State of Being. Please take time to listen to our FREE DIAMOND HEART ESSENCE TRAINING CLASS, http://walkingterrachrista.com/diamond-heart-essence-training/. PLEASE NOTE: If you previously had the Diamond Heart Essence Session with Meleriessee, please consider to take this class as it is an upgraded vibrational version of the original session.